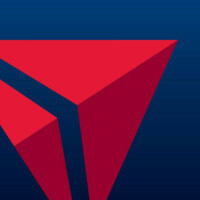 Once a major gateway airport for destinations in Asia, Minneapolis-St. Paul Airport is now Delta Air Lines’ second busiest hub (after Atlanta) and a hub for hometown Sun Country Airlines. The airport is about 10 miles south of downtown Minneapolis and 12 miles southwest from downtown St. Paul. The passenger complex is made up of two terminals on different sides of the airfield that are about a mile apart from each other. Terminal 1, the Lindbergh Terminal, 4300 Glumack Drive, has seven concourses labeled A-G. Terminal 2, the Humphrey Terminal, 7150 Humphrey Drive, has the H concourse. Metro Blue Line trains travel between the two terminals about every 10-20 minutes, depending on time of day. The ride between the terminals is free but passengers must leave the TSA secure area to reach the train stops, which are at the ground level. Beyond the airport, passengers pay fare to to continue on the Blue Line north to downtown Minneapolis and south to the Mall of America. Public transit to downtown St. Paul is available on Metro’s city bus route 54, which departs the airport about every 15 minutes. Delta Air Lines flights arrive and depart Terminal 1 at the A, B, C, D, F and G gates. Connecting passengers can use walkways, moving walkways and trams to reach all other Delta gates without exiting the TSA secure area. Sun Country Airlines flights arrive and depart Terminal 2 using the H gates. Connections to other Sun Country flights can be made without leaving the TSA secure area. Minneapolis and neighboring Saint Paul are the urban core of the Twin Cities, gateway to the clean air and all of the outdoor possibilities of Minnesota. And just 19 minutes from downtown Minneapolis is the Mall of America. Learn about what there is to do in the Twin Cities at Meet Minneapolis here.